If you’re thinking of shopping locally for the holidays and have a whiskey lover on your list, Nelson’s Green Brier Distillery has some really special options for you. They’ll probably go quickly, so you might want to add a visit to their distillery at 1414 Clinton St. to your Black Friday shopping itinerary. Their second treat is another of Nelson’s Green Brier’s excellent cask-finished products, the return of Black Belle. In 2017, they released just one barrel of Black Belle, but this year they will triple the availability. 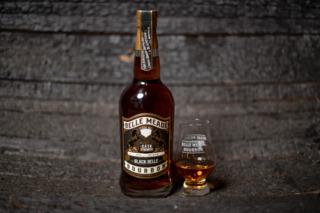 It may still all sell out on Black Friday, Nov. 23 when they first offer this remarkable whiskey. 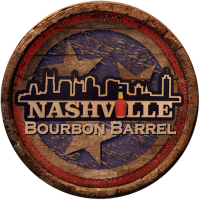 The 2018 edition has been aged for 10-11 years and then finished for an additional 10-12 months in Imperial Stout barrels from their fellow Nashvillians, Blackstone Brewing. Like a Lion King-esque circle of life, these barrels started out as bourbon barrels that held earlier versions of Belle Meade Bourbon before traveling to Blackstone to age the brewery’s Imperial Stout. The impressive stout was brewed and fermented to 10.2% ABV and infused with cocoa nibs before resting for at least seven months more as the beer picked up elements of the barrel and the bourbon. Blackstone then dumped the barrel to bottle the beer and returned the barrels to Green Brier to refill with bourbon. Still with us? The result is a bourbon that should exhibit notes of chocolate and stout beer, plus a long, complex finish thanks to extended contact with wood. Black Belle established a cult following in its first iteration, and this edition should be even more special.